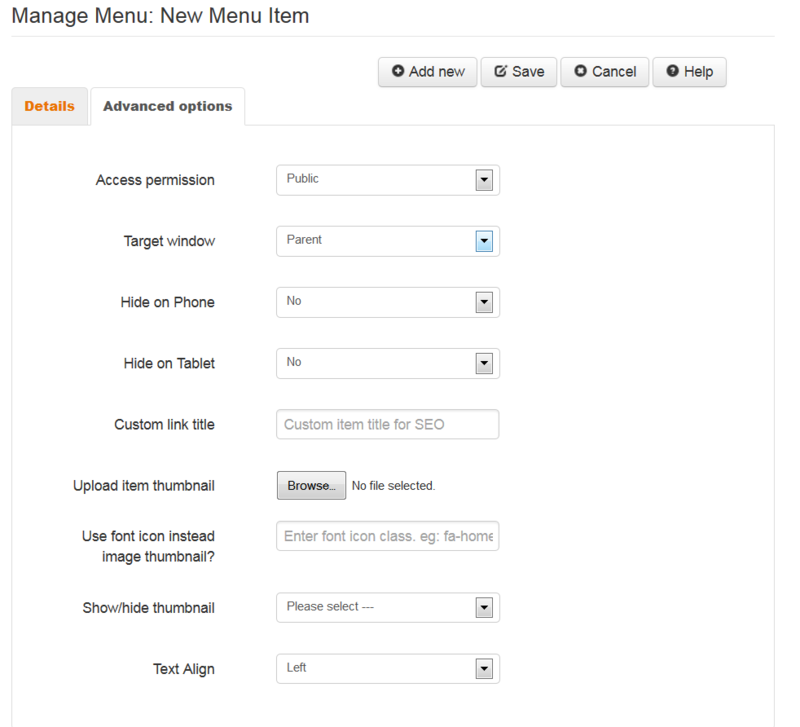 Magento Menu Builder - fastest, so smart and easy! 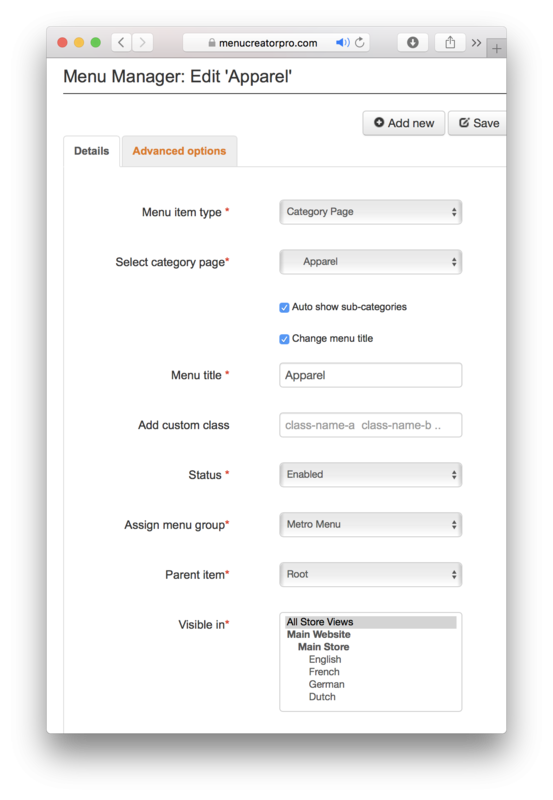 Magento site owners often have trouble with the main menu management, such as hard to re-order menu items position, difference item by store, or need to add menu icons, responsive .. This cost more time to do and it is required programing knowledge sometimes. Caching optimized for fastest loading and SEO results. Drag n Drop management, no reloads the page. Multiple languages, stores, websites & pages. Source code for both Magento 1 and Magento 2. 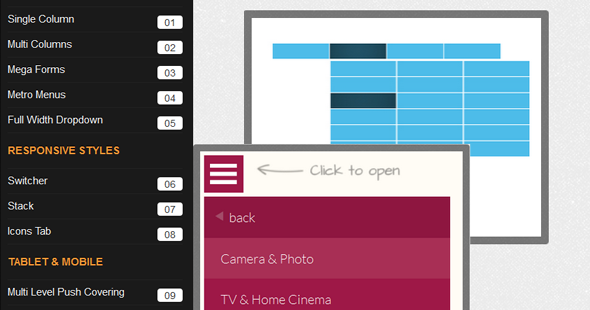 Auto-generate menu items and smart managed by drag n drop. 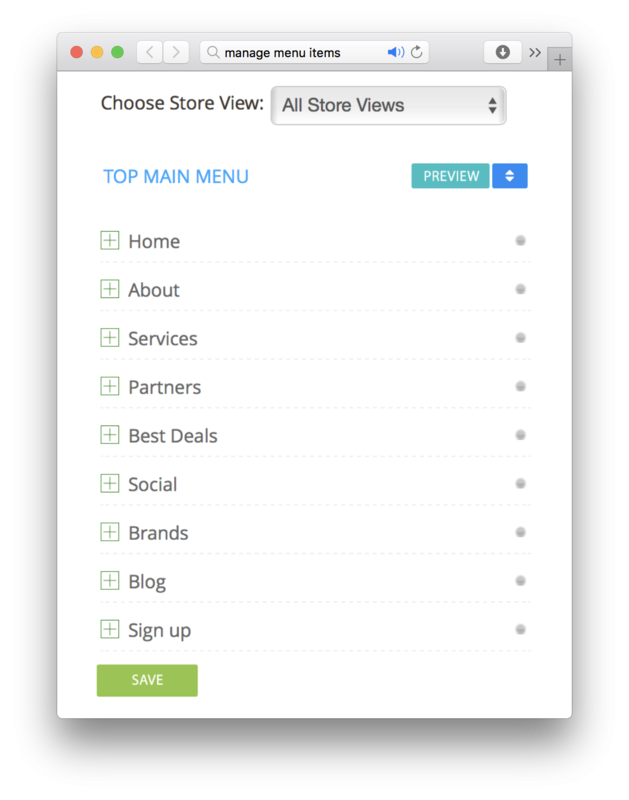 Flexible for custom menu layout and re-order items position instantly. For faster loading, clearly and responsive. It is the key to improve your page user experience value. 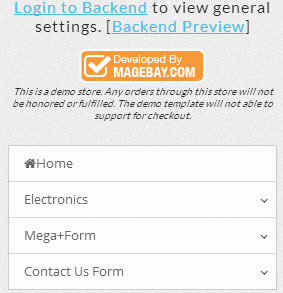 Install MCP extension into Magento store. Create menu group & layout/color scheme. 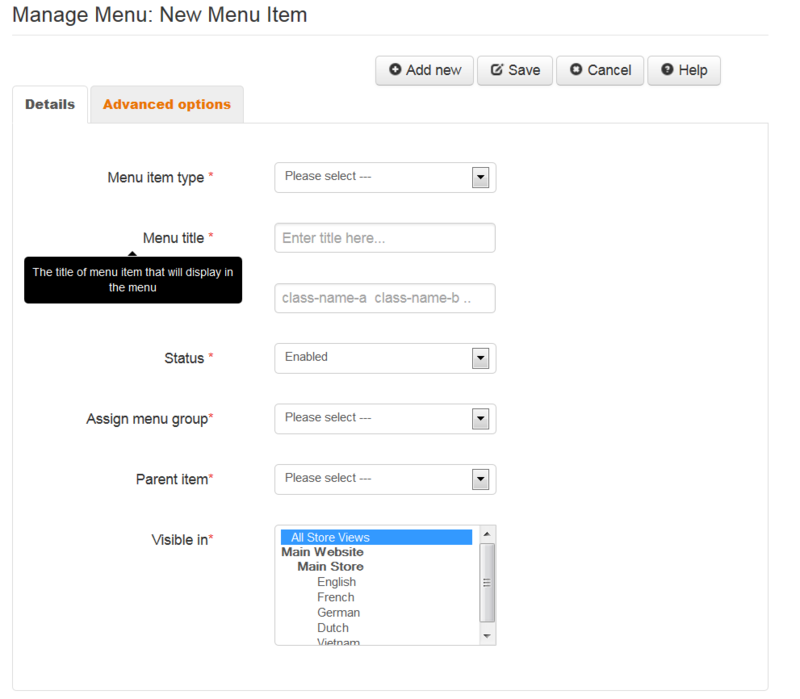 Add menu items to a created menu group. Embed menu group to replace default main menu or any position/page you want to show. 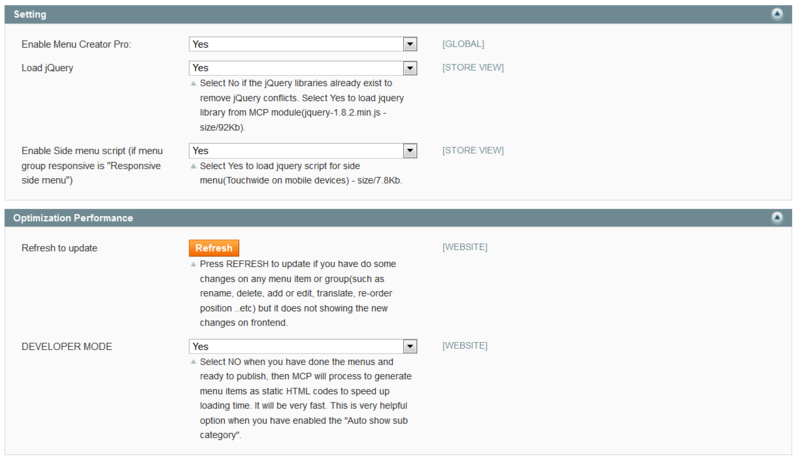 Turn off Developer mode to generate the menu in HTML for caching to launch site. Automatic show submenu items of the selected category. Auto-generate user links and shopping cart links. Separate skin files, so it won't conflict with your custom theme. The standard style as you see on the live demo will be included as the default style. 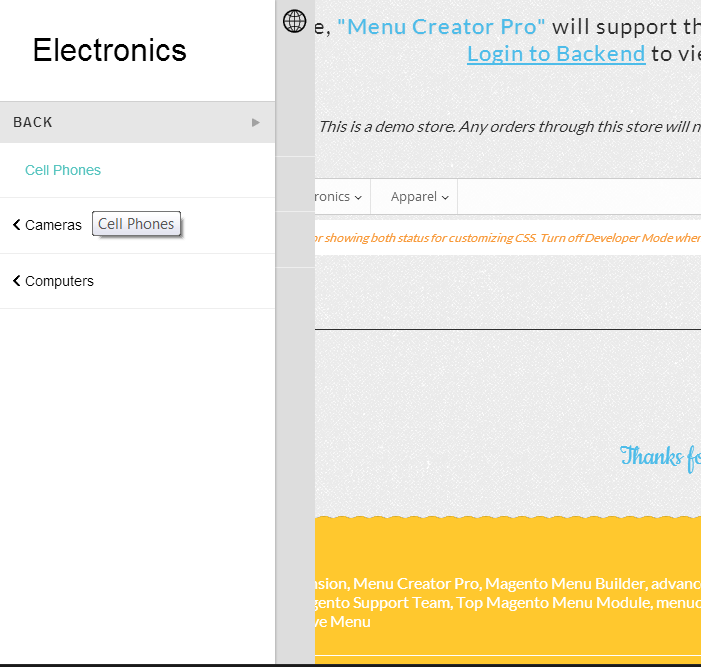 Menu Creator lets you add any HTML, shortcode, maps, contact forms or widget you like the menu & more. 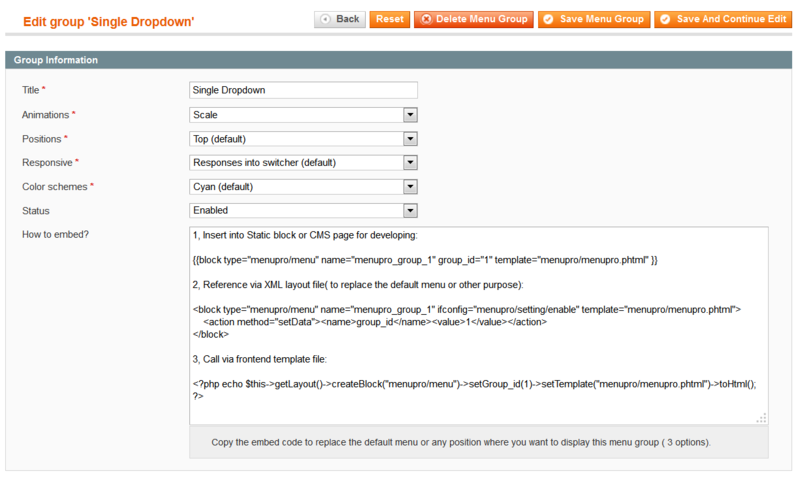 You can design your menu style, module source code is open, CSS is also clear. 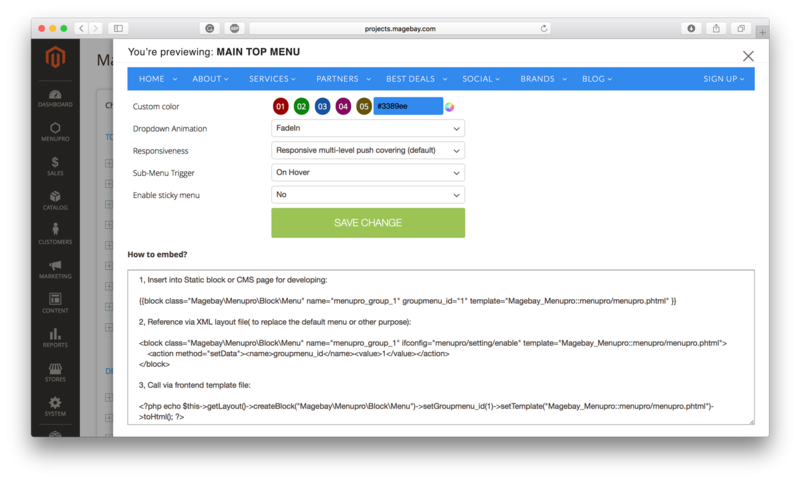 You will able to create special permission by customer groups for menu items. 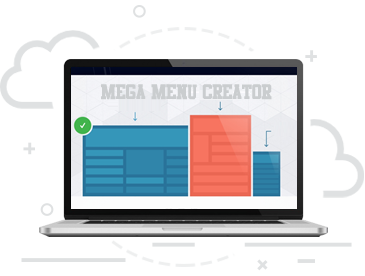 With a full grid system built in individual layout controls for each menu item, it's easier than ever to build gorgeous mega menu layouts. Support multiple stores, languages and multiple websites in one Magento Installation. Responsive and Touch-enabled for an enhanced mobile/tablet experience. Speed up menu load time, cached and small CSS to make it loading fastest.